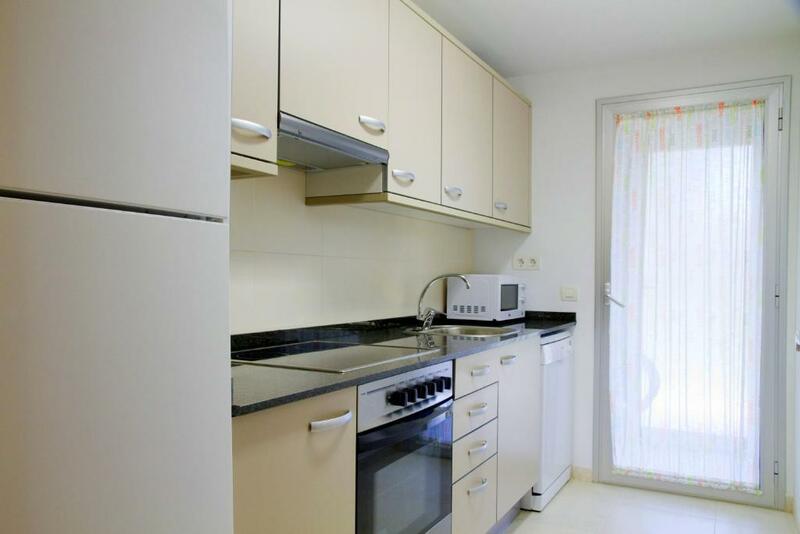 Big and confortabile apartment, hot water, heating facilities, good location. The apartment was very modern and spotlessly clean. The terrace was lovely for sitting out. Location was fantastic - 10 minute walk one way to Port Aventura and 10 minutes the other way to the beach. Fantastic apartment! The apartment was a very good size, two bedrooms, two bathrooms both with showers. Big balcony and a rooftop terrace. TV and good air-conditioning. 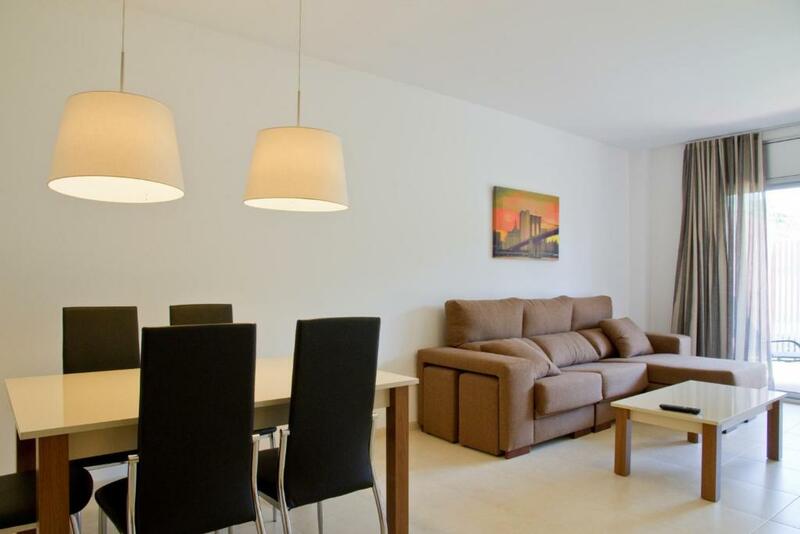 Good location ten minutes walk one way to Port Aventura ten minutes the other way to the beach. Check out was easy there was a nice girl behind the desk, had to wait around 10 minutes for somebody to check the apartment to get our deposit back but all was fine. The accommodation was very clean, had everything we wanted. There are pools to use and it was only 15 minutes walk from Portadventura Park and the beach. It was exceptional value for money. The apartment is very spacious for 4 people, have two toilets & two balconies and a spacious lounge! We booked it as it had free parking, was easy to get to Port Aventura by walking and had beautiful gardens & pool. The pool has no loungers which means fewer people and it was easy to have the pool to ourselves before 11am and after 8pm. Block E - Room 3. Loved it. Sun all day. Air con fab. 2nd room was quite small but an alright size. This is our sixth time staying at these apartments they are clean and very comfortable, the kitchen is well equipped and the washing machine and dish washer are an added bonus on holiday. They have everything you need for a family in a quiet safe location. The grounds and pool are well maintained and the apartments are in a quieter location near to Portaventura theme park and a 10 minute walk to the beach and centre of Salou. Big apartments with own terrace. Good location between Port Aventura and seaside. Own kitchen. Comfortable for long living. Lock in a great price for Rentalmar Paradise Family Apartment – rated 8.1 by recent guests! 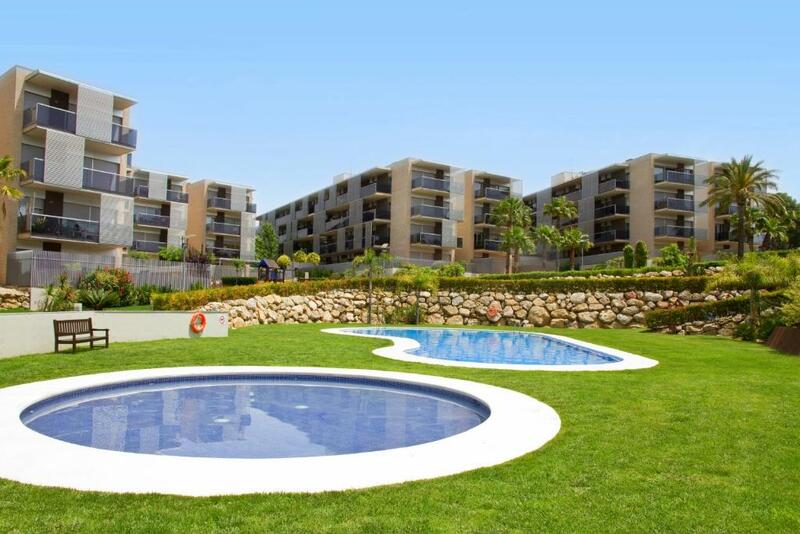 One of our top picks in Salou.Located in Salou, a 10-minute walk from PortAventura Theme Park, Rentalmar Paradise Family Apartment features a communal pool and offers apartments with a private furnished terrace. Located in a quiet community area with a children's playground, each apartment at this family-oriented property comes with air conditioning and heating. They include a living area with a flat-screen TV and dining table. There is also a kitchen, equipped with an oven, dishwasher, and washing machine. The private bathrooms come with a bath or a shower. Towels and bed linen are provided. 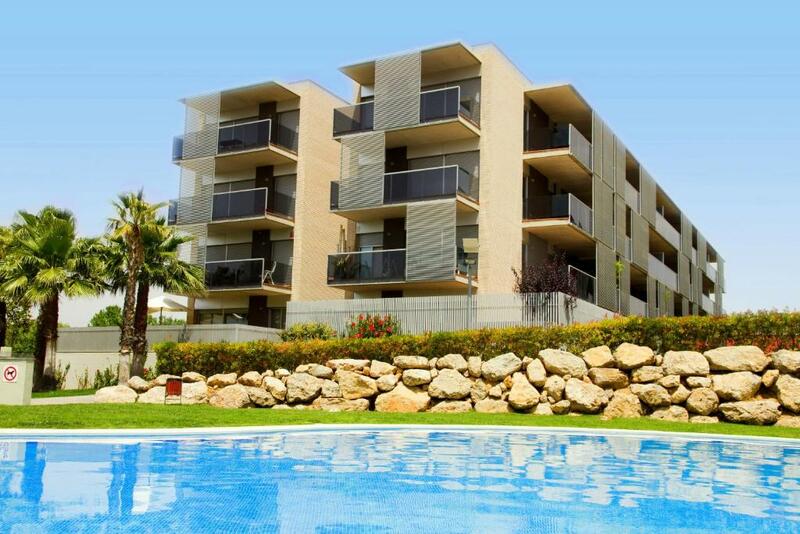 The beach is a 10-minute walk from the property, and Salou Train Station can be reached in 25 minutes on foot. When would you like to stay at Rentalmar Paradise Family Apartment? Featuring a furnished terrace, this air-conditioned apartment includes a living area with a flat-screen TV and dining table. There is also a kitchen, equipped with an oven, dishwasher, and washing machine. The apartment has 2 twin bedrooms and 2 bathrooms with a bath or a shower. Towels and bed linen are provided. The apartment has 2 twin bedrooms and a sofa bed in the living room. There are 2 bathrooms with a bath or a shower, and towels and bed linen are provided. 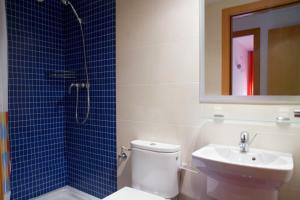 There are 2 bathrooms with a bath or a shower, and towels and bed linen are provided. This apartment is for families only and the behaviour rules must be respected and the neighbors must not be disturbed. 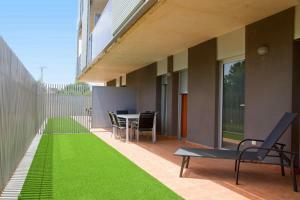 They have a quiet garden with swimming pool and a residential and family atmosphere. No noise is allowed in the establishment or organize parties. Entry to clients other than families will not be allowed. 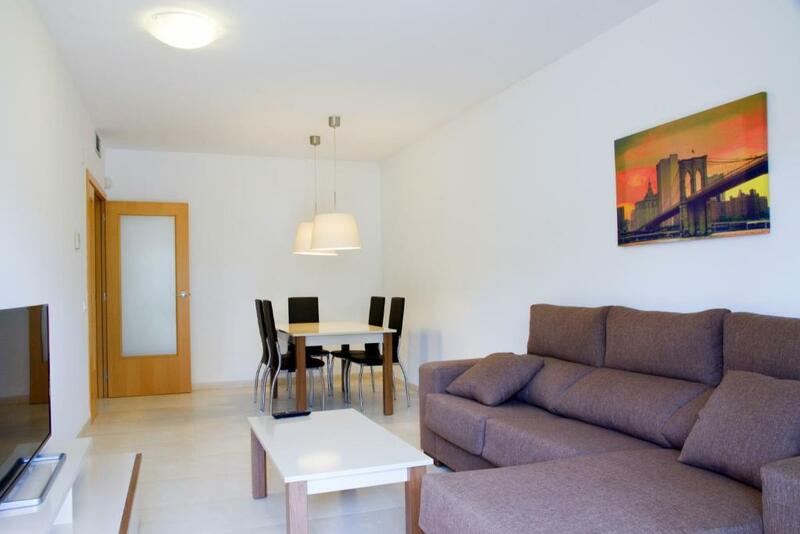 Rentalmar is the leading apartment rental agency in the Costa Dorada, with more than 60 years of history. We have the best apartments for rent in Salou, Cambrils, La Pineda and Miami Playa. In Rentalmar we adapt to your needs, so we do not charge any extra for arriving late to pick up the keys, or for supplying the bedding. In Rentalmar you can rent quality apartments at the best price and without surprises. 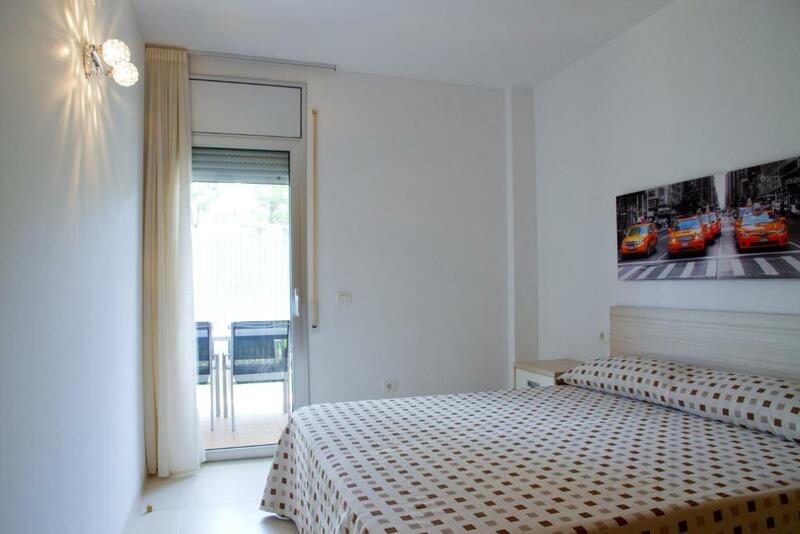 Quiet area of Salou, within a walking distance to the beach and to Ferrari Land and Port Aventura. House Rules Rentalmar Paradise Family Apartment takes special requests – add in the next step! Rentalmar Paradise Family Apartment accepts these cards and reserves the right to temporarily hold an amount prior to arrival. Please note that a refundable damages deposit of EUR 50 per person is required. Please note that check-in and key collection take place at: RENTALMAR: Carrer Navarra, 2, Salou 43840. Good modern location. Comfortable and quite. You don't find any soap, shower gel or shampoo... nothing to clean your body, only water and towels. It's unusual and we weren't prepared. The kitchen was a bit sparse of equipment, e.g. no kettle (although plenty of pans to boil water for tea/coffee), chopping board, baking trays, but we made do. Reception staff were very rude. On arrival we were ignored for around five minutes while the five staff members finished their chat behind the desk. We were then told we couldn't stay in the apartment we had booked because we didn't have children with us (this is not mentioned on the site) and that we would have to come back at five for them to move us to another one because their office wasn't open until then (this was around 3:30/4 and it was raining. Where were we supposed to go with our suitcases until 5?) I said no if we are being moved it is to be done now and magically it was done straight away?? We got a taxi from the airport to bring us to the reception to get the keys and then to the apartment so he waited outside this whole time we were being ignored then being moved apartment, raking up a bill. When we got to the apartment our key didn't work in the gate but there was a man working there who was really nice and swapped his key with us. He came up to the apartment with us and told us to make sure the lock was facing left when we were trying to unlock it or it wouldn't open, something the boy at reception didn't tell us. Apartment wasn't very clean the walls were covered in dirt and what looked like drink stains. Bath and sink covered in hair. We were told when we checked out we had to take out our rubbish and clean the dishes yet on arrival all the glasses and cups were stained and dirty. Nothing really to complain about, other than being bitten by Tiger Mosquitos every night. No hairdryer ruined the teenage girls and my evenings. Having to find 100 euros cash when booking in for deposit on a router for wifi that hardly worked in the apartment and only supplied 3gb every 24 hours. Plus the free parking actually cost 50 euros cash for deposit. None of which mentioned. We did get the cash back at end of the holiday but it eas 150 euros of our spending money. Also no cleaning products supplied but rules to keep tjings clean, no tea towel no welcome tea or coffee. Advertised as a family location, kids were not allowed inflatables in the pool, ball games around the pool and no sunshades available for protection from the sun with a guard standing over the pool all day and evening policing it. Clean, compfy and good location. The key collection & drop off is in town, some parking but long slow queues. Friendly staff though. (previous property offered in Block D, 2nd room was too small and patio didn't get sun all day and people playing football right outside - no privacy. Absence of iron. Lack of some kitchen accessories.